These small, but perfectly formed, book collections of kitsch and kooky images come complete with fascinating facts and weird and wonderful tales. These digests of the best from classic Fifties comics contain everything from ghastly ghouls and racy romances; through wise-guy gangsters and vampish vixens; right up to battle-scarred heroes and outer space adventures. 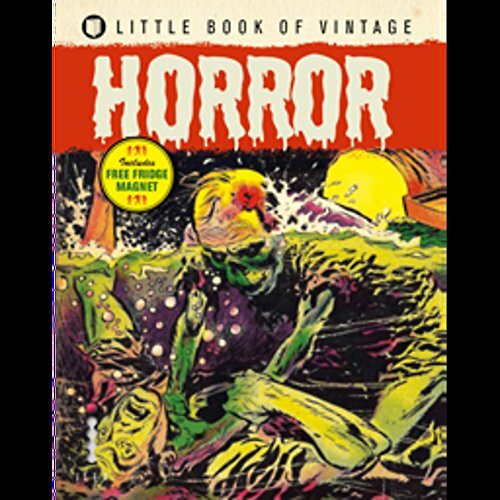 Theres a fascinating introduction giving a brief background to each genre Horror, Crime, Combat, Sci-Fi, Sauciness and Romance and every one contains complete strips, text stories, unusual adverts and mind-blowing covers. Plus, each book has a free fridge magnet, making them the perfect quirky gift, either individually or as a whole set!